Preschool and kindergarten learning was a few years ago for our family but I am still often asked about programs that are out there. PandaParents is one of those. This company send me three months, or “courses”, in PDF version of their program MESSYLEARNING FOR PRESCHOOLERS AND KINDERGARTNERS. PandaParents has a few basic ideas that guide their creation of materials. The company wants to promote learning that helps complex brain function. 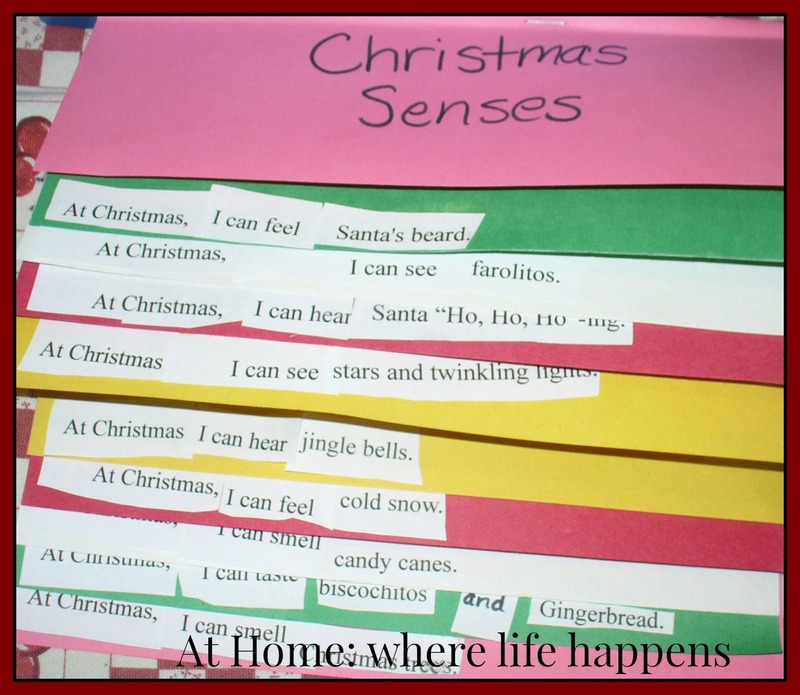 They focus on reading, writing, and STEM activities and building fine motor skills. They do this while working to decrease screen dependent learning and minimize rote memorization. MESSYLearning is not about creating an area that looks like a tornado has gone through (though it might if your preschooler is anything like mine were at learning times at that age!). Rather MESSY is an acronym. Each course of the program has a book, a video, and a workbook. I received PDFs of each of these for three courses: A Jolly Jingling Journey, Mommy’s Baby, and Scotty Skunk Hears a Scary Sound. This story has two videos. The first one focuses on the letter J. It is about 10 minutes. The second is the story to go along with the book. It is mostly the story being read, showing the storybook page and a few animations along the way. It is really quite long for this age at just over 38 minutes. 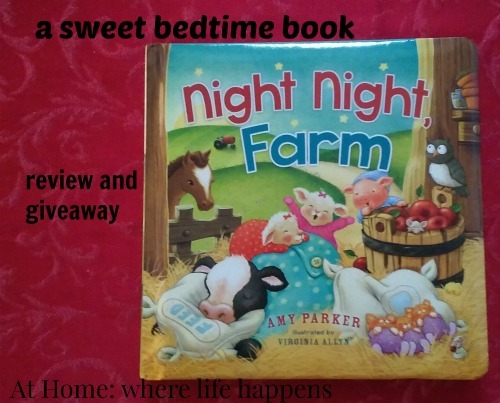 Mommy’s Baby – In this story, it is bedtime for Amanda. She doesn’t want to go to sleep but mommy goes through a story with her. The story is made up of the question “Are you mommy’s little ___________________?” and the answer, “I am your little __________________.” At the end of the story there are some “extra credit” questions that have the reader looking for how many of something can be found, looking for shapes, or answering a question about the story. The pages are nice and bright, with a large font that is easy to read and for the preschool student to see. There are just a few words on each page. The video for Mommy’s Baby is right about the perfect length at around 5 minutes. 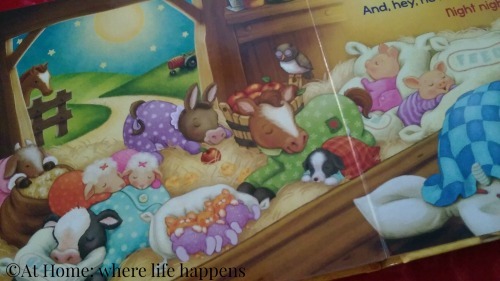 It goes through the story and shows the pages of the storybook while reading it out loud. The workbook for Mommy’s Baby is about 40 pages and is full color. The activities cover letters P, T, X, and B. It covers memory, tracing, patterns, and feelings. In science it talks about living vs non-living and all different kinds of animal tails and their uses. There is some matching, big/small comparisons, and shapes. Scotty Skunk Hears a Scary Sound – Scotty Skunk is awoken from his winter sleep when spring arrives by a sound. What sound? The baby birds so he decides he must find a quiet place for his home. As he finds each new home, a new sound startles him and a new season finds him in a new place. 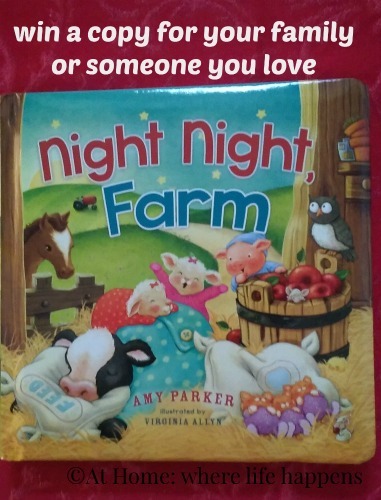 This story teaches the letter S and touches on seasons, emotions, and transportation (train, tractor, sailboat, firetruck, etc.). It has bright pages with several sentences per page, written across the bottom of the page. The video for Scotty Skunk is pretty long at about 32 minutes. It has some introductory material, like introducing the children and going to a classroom, that is about half the video before getting to the story. There are also some crafts in this workbook such as making a sailboat, painting, and creating a home for Scotty. This is a bright, whimsical program. It covers a lot of material and has had a lot of thought put into each piece of the program. The integration of various concepts and subject areas helps students transfer information better and learn problem solving. Creating a book, video, and workbook also ties in a few of the different styles of learning. Adding in some physical movement activities would be fantastic. I think this will appeal to many preschoolers but I feel much of the activity is too easy for kindergartners. At least in the way it is presented here. My girls were all beyond this material by the time they were 5 so I feel like this is a good preschool program but it would definitely bear looking at to see if it would fit your 5 or older student. Also, consider whether this style of animation is right for your child. I had my girls look at it with me to get their thoughts on the animations and drawings since they help care for preschoolers on a weekly basis. I asked them whether they thought the children they work with would enjoy these. They felt like most of the children would not care for it; they felt the videos were silly and wouldn’t keep the kids’ attention. They thought some of the characters were somewhat scary to look at with their lopsided and unmatched eyes. The workbooks are my biggest hangup with this program. I would not be able to justify printing these workbooks at a office place and we only have black-and-white here at the house. Many of these activities would not work as a black-and-white. 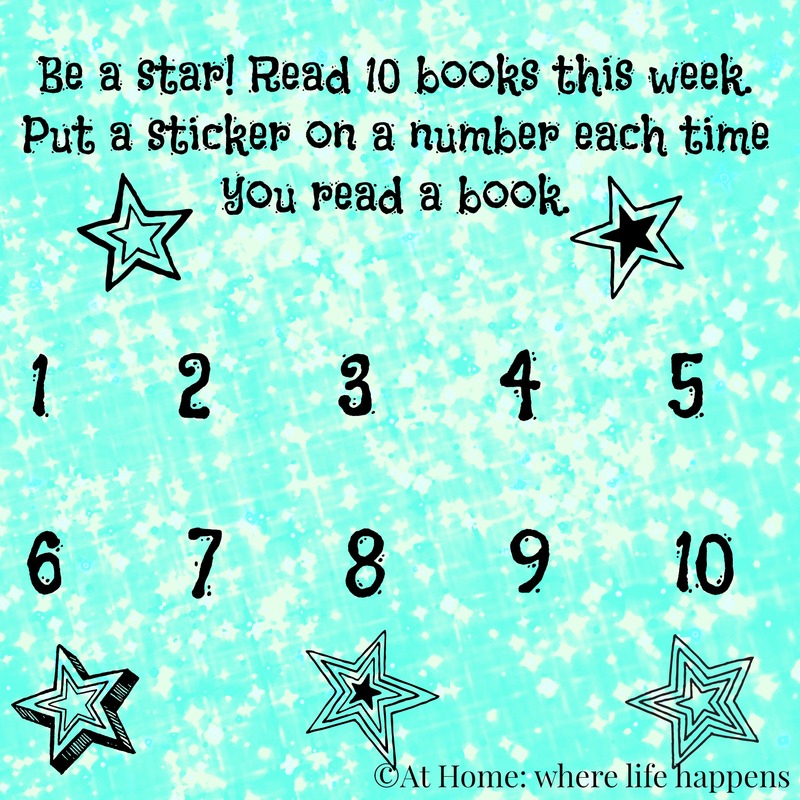 Also, I would have to purchase sticker paper for some of the activities or make it work with a cut-and-paste approach. If I chose to print the workbook. But if I didn’t, I would need to do these at a computer screen which brings me to my next concern. 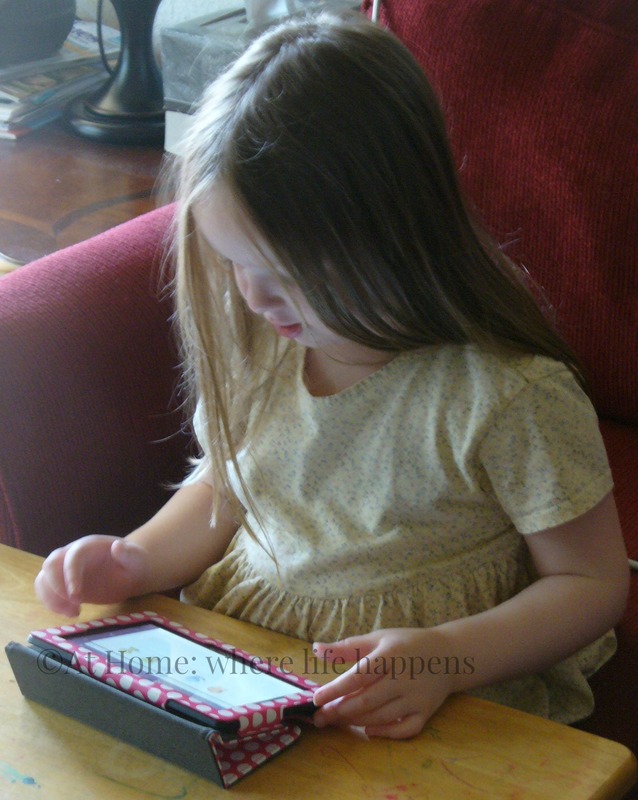 One of the big parts of PandaParents is wanting to get kids away from screens. As the program was presented to me, at this point, it does not do that. 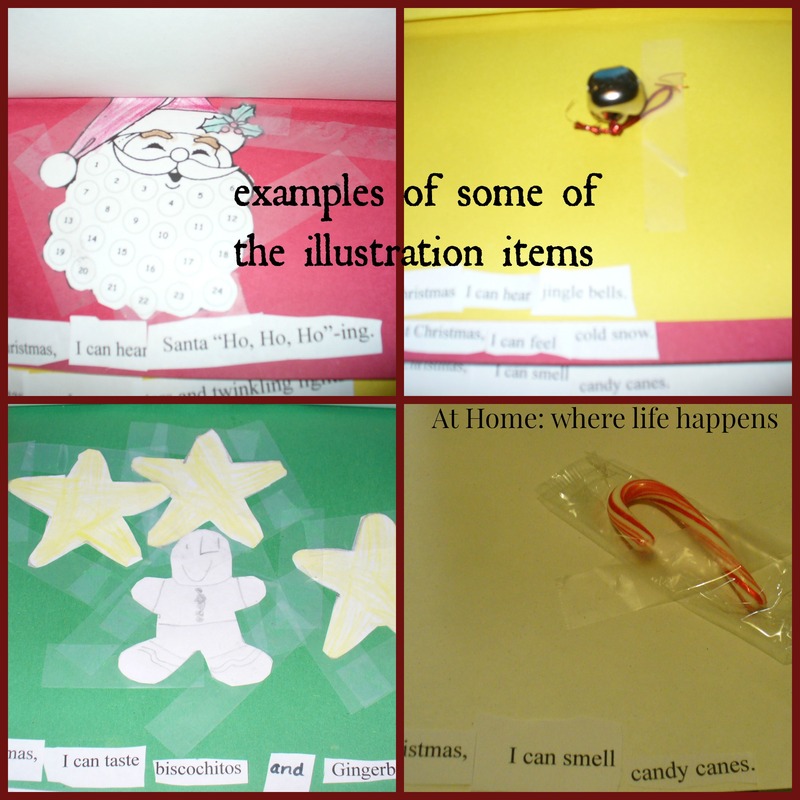 The book is a PDF, the video is online, and because I would not be able to print large parts of the workbook, I would need to do some of the activities with the child at a screen. This program would definitely work better as a physical product, rather than an online/downloadable program. I understand that is in the works. There is much to be admired in this program and I think it fits a need. The themed story, video, and workbook is a great combo. 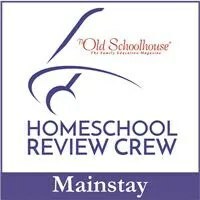 Some of the Homeschool Review Crew families had kids in the right age for this program and used it with them. Definitely go check out what they and their kids thought of PandaParents. 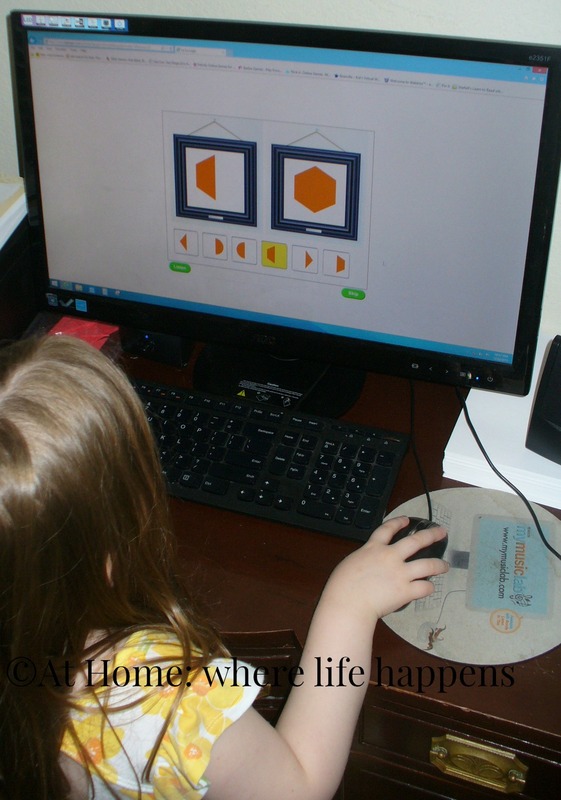 Experience is the best teacher of logic so when we were given the opportunity to review a program that takes the children through progressively more difficult logic challenges, I was excited to try it out. La La Logic is a program that was developed by Lilac Mohr, a homeschool mom who was looking for something to help her children become problem solvers and thinkers. She knew the research concerning spatial reasoning, multisensory learning, and more so she wanted to tackle the problem to create something that children would love but that would strengthen their thinking skills at the same time. 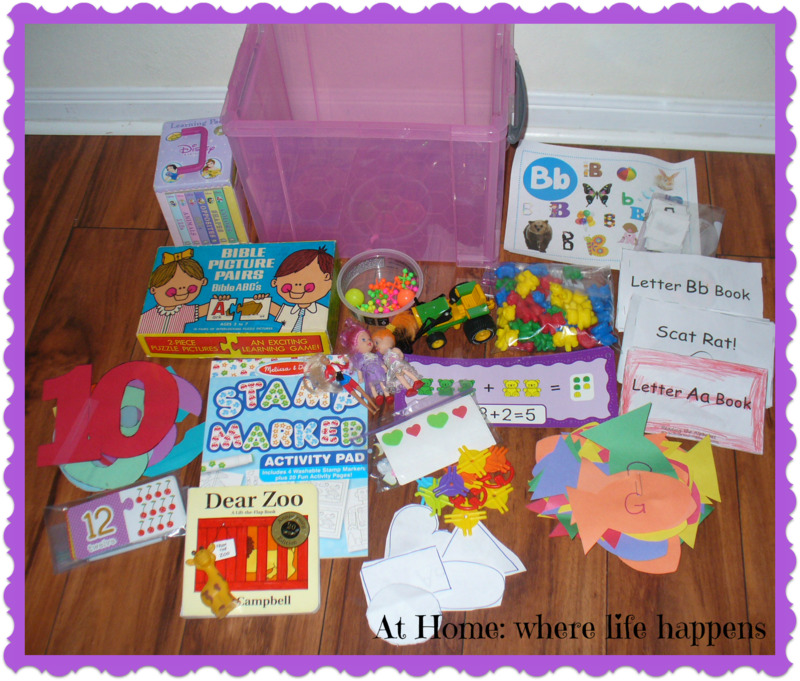 La La Logic Preschool Curriculum is the result of Lilac’s work and boy! is it loaded with skill training! The Preschool Curriculum is designed with 3-6 year olds in mind. BUT – it works well for students both older and younger. The 100 weekly lessons are structured, though it is such a flexible program that you can use it differently for each of your children if you need to. La La Logic consists of three different parts. There is the Brain Challenge, the Enrichment Set, and Extra Practice. Brain Challenge – The Brain Challenge is almost like computer games where the student is solving problems and answering questions and repeating patterns. Each new challenge develops a different skill. The student will work on five different brain stretching activities each time. This will only take about 5-10 minutes but the kids hardly know the time is passing because the activities are so much fun! There is a Continuous Brain Challenge Mode for times outside the weekly lessons where the students might want to play without interruption. This mode will run through the computer activities without stopping until you log off. Extra Practice is just that. You can go into the Extra Practice section to select a type of activity that your student is struggling with or something that you just want them to work on again. It could even be a reward for them to get to do one of their favorite brain activities if they do well in something else. The possibilities are endless. La La Logic consists of 100 weeks of lessons. Each lesson has an activity suggested for each day of the week but each day’s activities should take no more than 10-20 minutes. 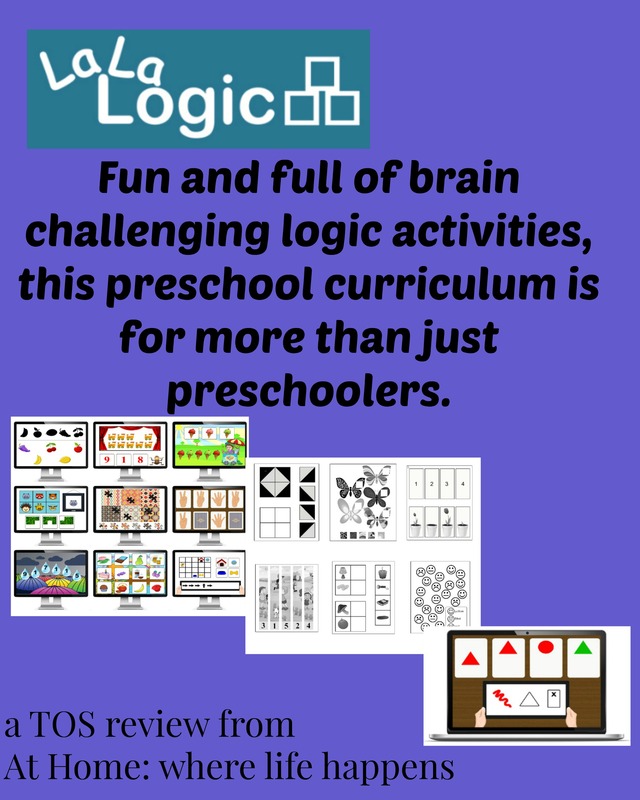 These quick, intense sessions are fun for the child and parent AND train the brain in logic skills. Monday’s activities consist of one week’s worth of Brain Challenge, with assistance if needed. Also, you can do Extra Practice if needed. 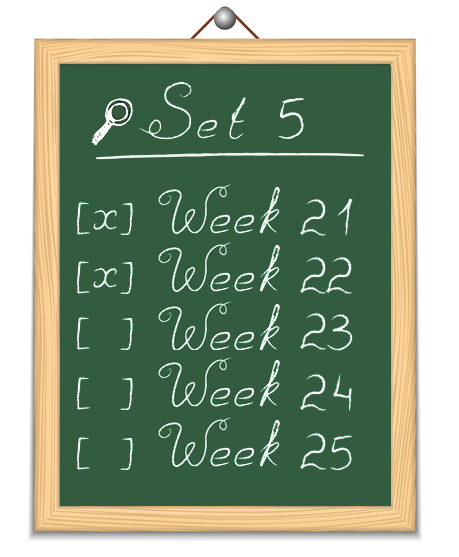 Tuesday will be the Enrichment Set (minus the worksheet). Wednesday will be the week’s Brain Challenge again and the worksheet. Thursday will be the Enrichment Set, using different activities or the second set of activities suggested. Friday will be an optional Brain Challenge and your choice of Family Fun activity. At this point, you can either select Start and go into the Brain Challenge activities or do some “parent” work. If this is your first time on the week, you will want to hit Download to access a print out the Enrichment activities for the week. This will also give you a page where you can make notes about what your child did well, what was liked and disliked, and more. You could also record those notes on this screen by typing them in the notes box and hitting Save Changes. I did not, however, see a way to print those easily or to compile them together after several weeks of notes. That would be a helpful feature. If you remember to put the checkmark next to “Mom finished this week,” you get an “x” on the chalkboard where you select your weekly lessons. 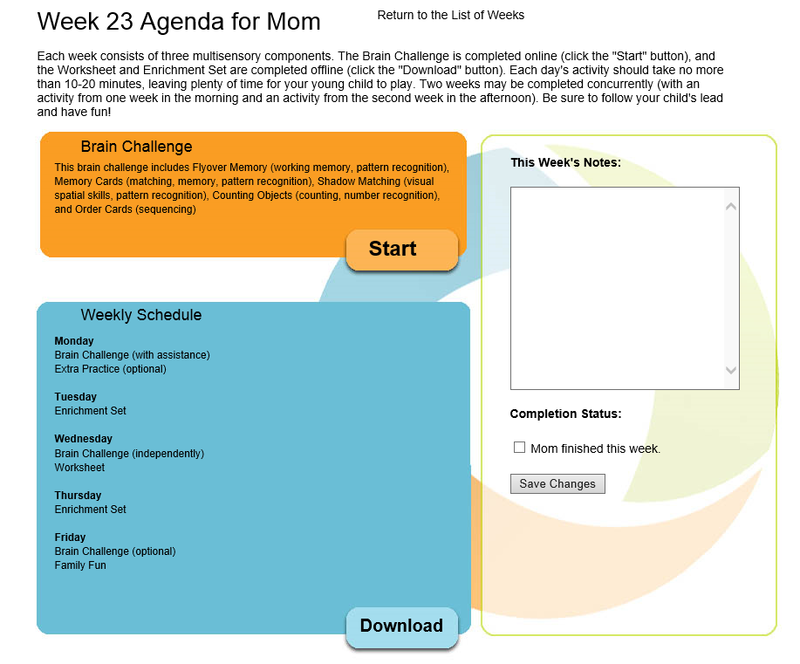 This does help in tracking week to week and for the child to know where to click when it is time for the Brain Challenge. We were given a subscription to the program for our family so we were able to register each of the girls, as well as myself. (Who doesn’t love a few games, right?) Each girl was able to just explore a bit with the program at first. We allowed the older girls to just keep track of where they were in Continuous Brain Challenge Mode (which allows them to just go through the computer games without tracking and without stopping) and have fun with it. We did make them start at the beginning because the activities are progressive. They build on other skills that come before so it is not beneficial to skip ahead, even if your child can do the activities easily. J, on the other hand, was required to work through this more slowly. We did allow her to play in Continuous Brain Challenge Mode some but we also made her work through the curriculum as designed. I think this is a fantastic program for families to invest in. It trains a part of the brain that we don’t often consciously think about and it uses activities that don’t seem like learning. We have been fans of this since the first day we received access because it is so much fun. Here is the next installment of reading charts. I have this set for 10 books a week because that is what the goal is for J. Please leave me a comment if you would like for these to not designate a length of time in which to read the books and I’ll leave it off of the next one so it is more useable for you. Today, we tackled the five senses with J, who is five. 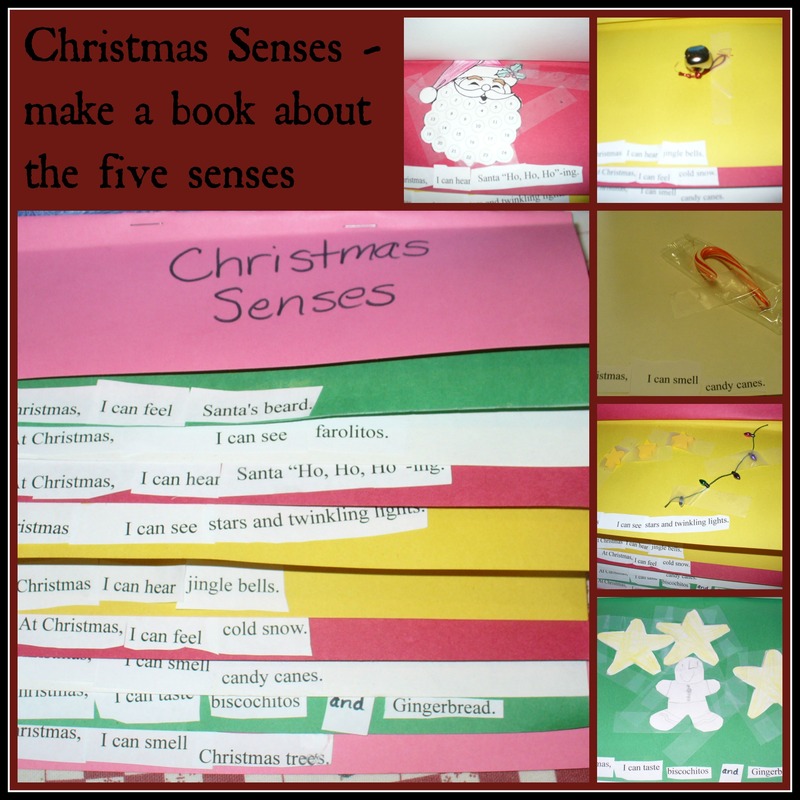 Both of her sisters made a senses book for Christmas when they were about five and she wanted to make one, too. So, we worked together to create a book similar to what they had done. We started off by making the book. 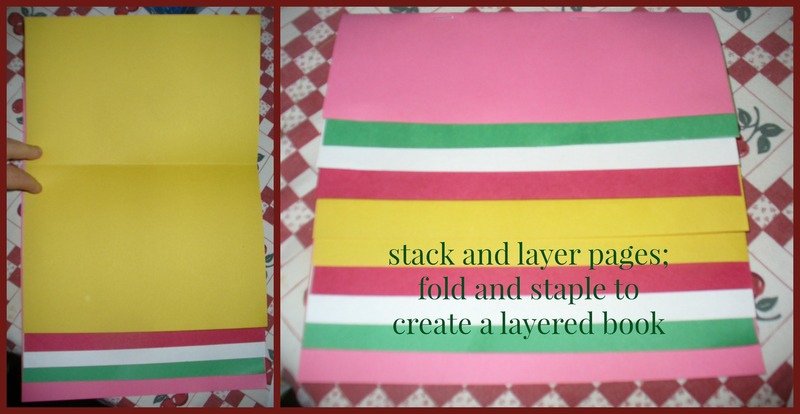 We got five pieces of construction paper – red, white, green, pink, and gold. We laid them down in layers so that a small piece of each color was showing. Carefully, we folded it over so that more layers were created. Then, we stapled it. 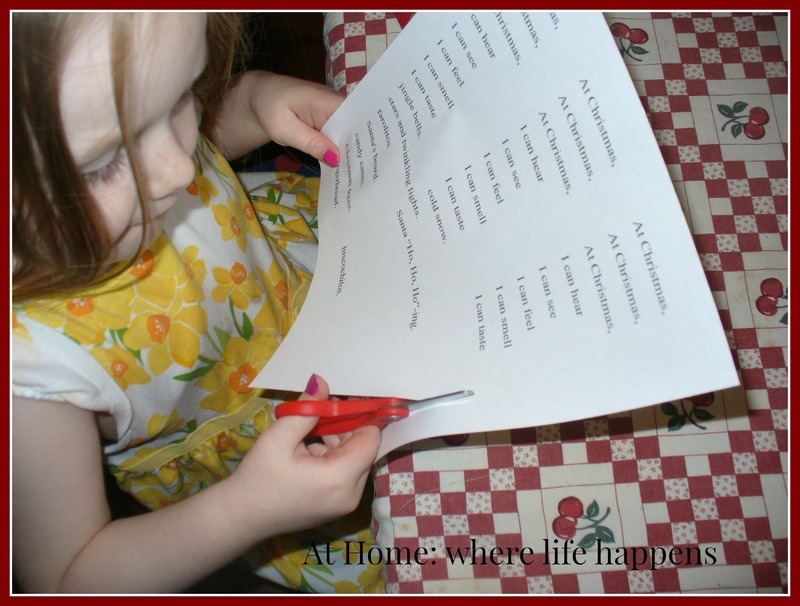 After printing them, she cut the pieces of the sentences apart. 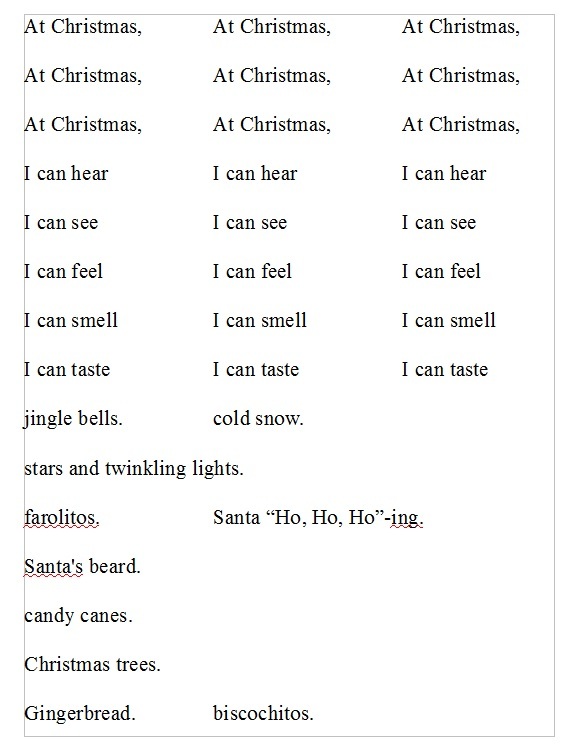 She then put the sentences together and glued them down on pages. 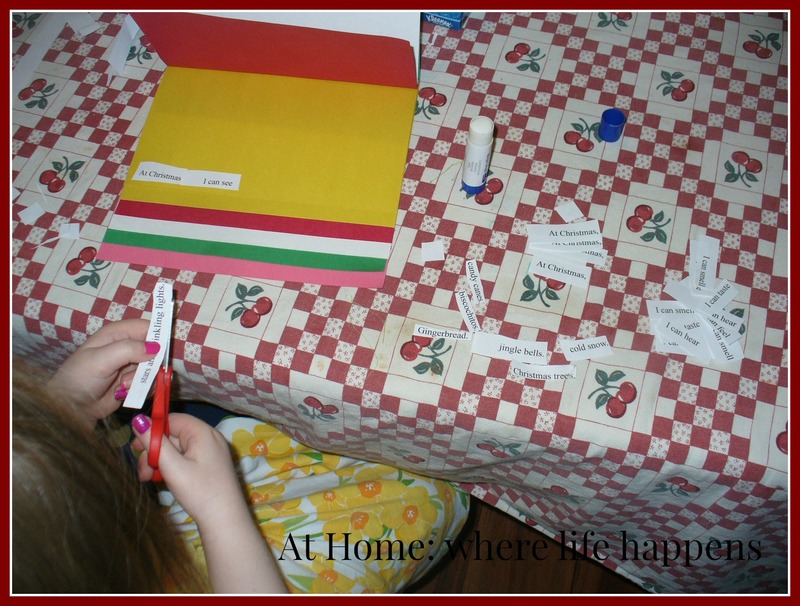 After gluing the sentences down, she picked items to illustrate each of the sentences. Finding the sights, sounds, smells, tastes, and textures of the season brought a lot of fun and joy into our day. At Home. No, it is not a box for real jewels or gems. 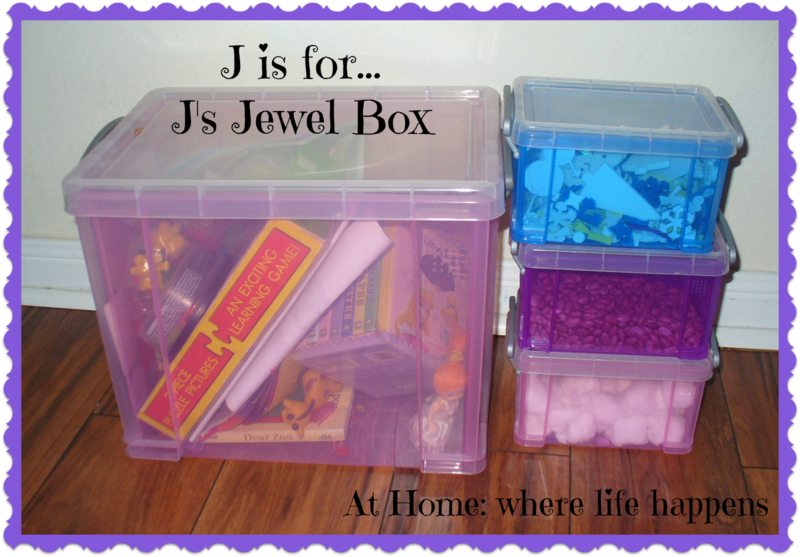 It is a box full of fun, educational activities that J can do by herself. 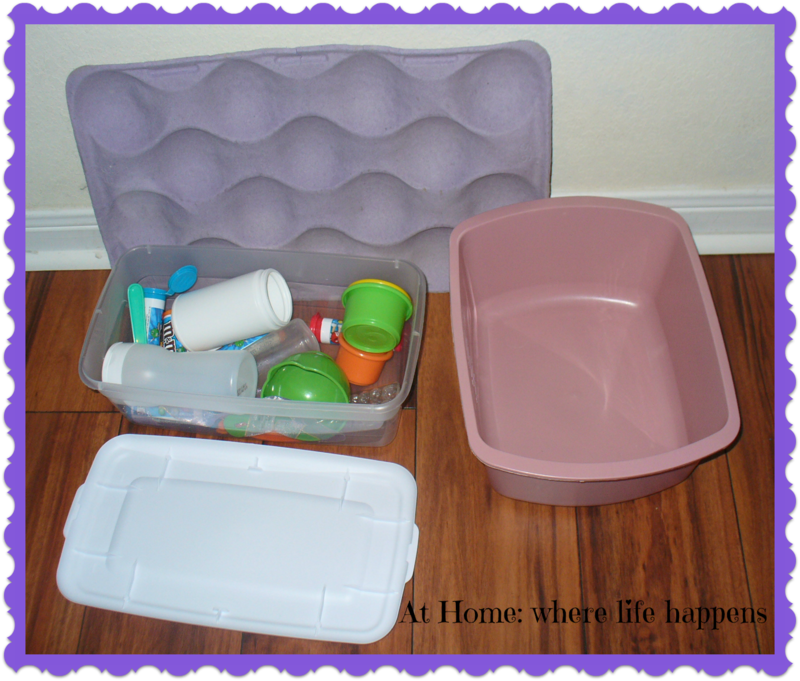 It is full of things that encourage her to use her imagination and play. It is full of toys and books and dolls and games and letters and numbers and whatever else I decide to throw in there for the week (or the month or for however long I leave them in this time). 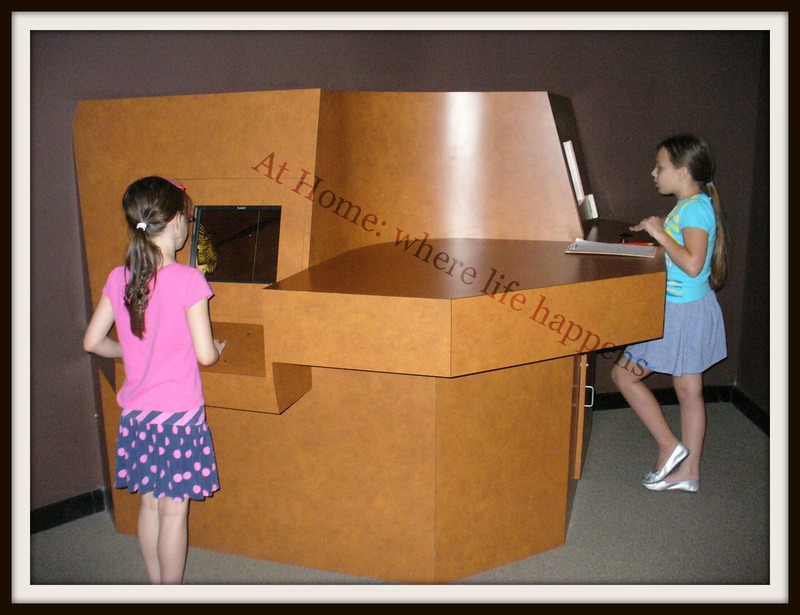 As we began our homeschool adventure last summer/fall, I was looking for a way to encourage J to entertain herself that would be a challenging, educational “something” for her to do. Some people call these sorts of things “All By Myself” boxes. Or maybe “busy bags.” This is somewhat along the same line but I didn’t want these things to be completely dictated to her about how to use them. So, maybe they are more along the lines of what some folks call “invitations” for play or exploration. Here, J is playing with dry pinto beans and a tractor. She created a whole story about what she was doing and why and what it was for. No direction for me for her play. Exploration, creativity, imagination. We bought a large box, probably about 15 gallons, that has easy lock handles on the sides. This was so that she could open it up by herself AND, more importantly, put it away by herself. This holds the big stuff, the baggies of smaller things, the books, or whatever else is going to be in the Jewel Box for now. These are the things that are in there right now. These get changed out from week to week or month to month for anything and everything I can find that might encourage J to work on her own or work on a concept that she is about to learn or one that she might need practice with. 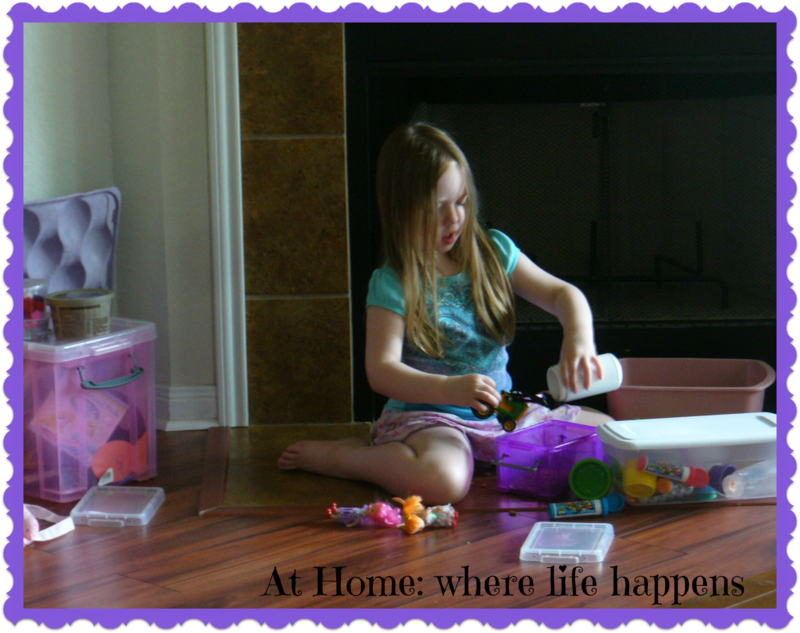 I find things at the dollar stores, garage sales, the toy box, the bookshelf – everywhere! Just keep your eyes open and you’ll find lots of things in your home that could work for something like this. 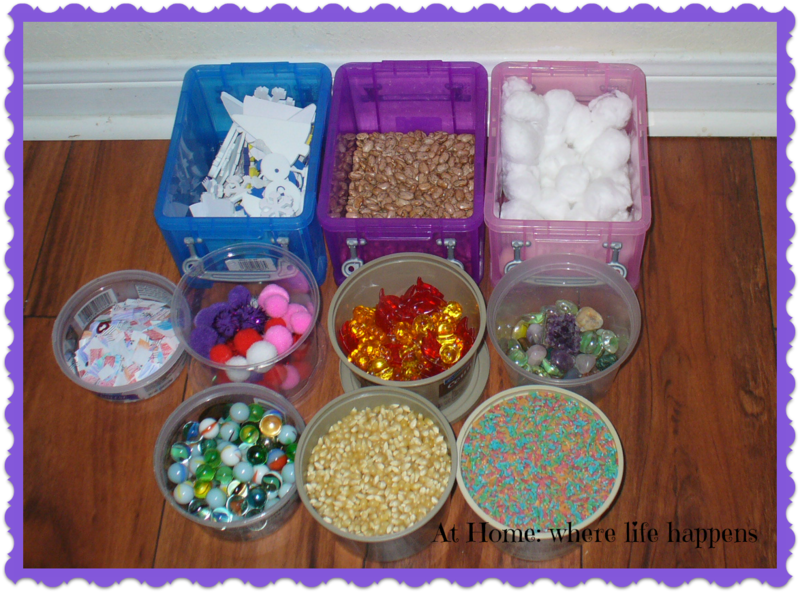 We also bought 3 small boxes with the same easy lock handles that hold things like dry beans, rice, cotton balls, pompoms, foam stickers, polished rocks, marbles, and more. I only have 3 of these so that there isn’t too much separation that has to happen at clean up time. We also collected a mish-mash of containers – old parmesan cheese canister, the little bubble gum egg cartons from Easter, a large dish packer (looks like an egg crate for ostrich eggs! ), mini M&M canisters. We put in whatever we could find. I also put in a set of plastic tweezers that had a little red light on the end that lit up when it was closed. When I needed time to work with the older two giggly girls, J was asked to go play at her Jewel Box. This was time for her to guide her own choices. She could use the items in the box however she wanted as long as she did it quietly. Sometimes, she would ask for help to know how to play a game or do an activity for real and I would tell her and show her. Most of the time, she used her imagination and came up with ways to learn and play all on her own. She seldom had to play there for more than an hour by herself because her sisters really wanted to play there, too. So, they would work harder to get their part done and then ask if they could go play with J in her Jewel Box. This summer, it is still being used every single day, though it is all her choice to use it for the summer. It is not at all uncommon for all three giggly girls to be sitting around the Jewel Box, creating some play scenario and having a good time. At Home. 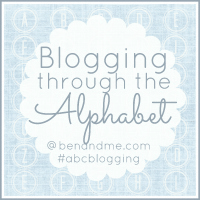 This post is linked up with ABC Blogging on Ben and Me. 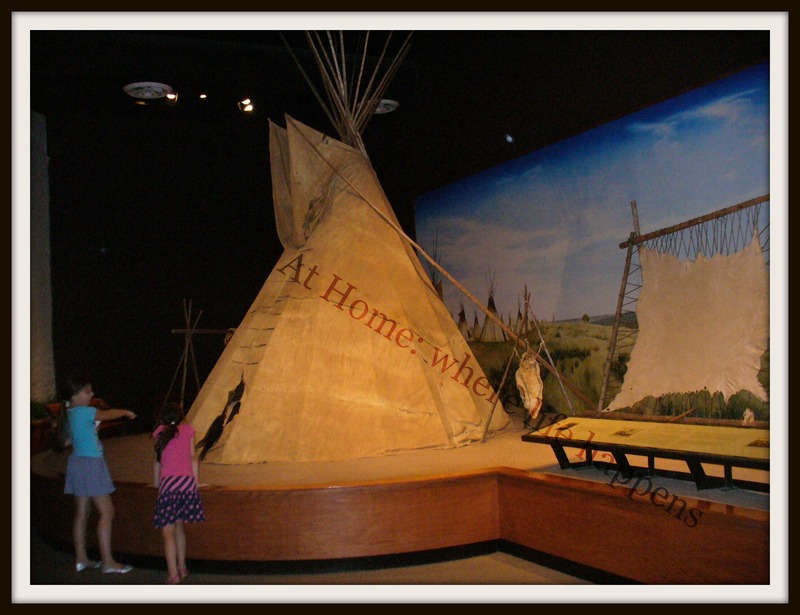 We are currently working on a review for Moving Beyond the Page that focuses on Native Americans. 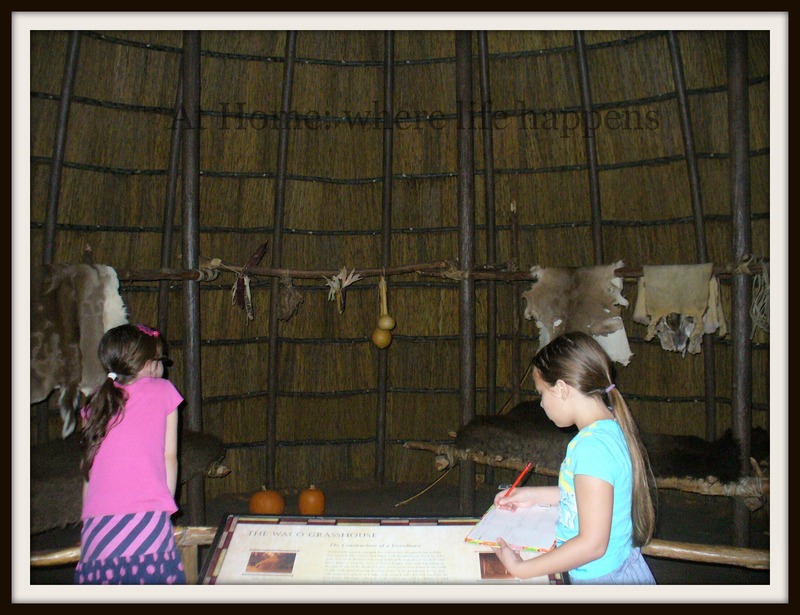 In the first lesson, we were asked to explore local Native American tribes. So, we took off to the Mayborn Museum and searched the internet to see what we could find about this little known subset of Caddo Indians. The Hueco Indians were a relatively small group of Indians. They are part of the Wichita Indians that were pushed south into Central Texas. The Wichita Indians are part of the larger Caddo Indians, if I followed it all correctly. 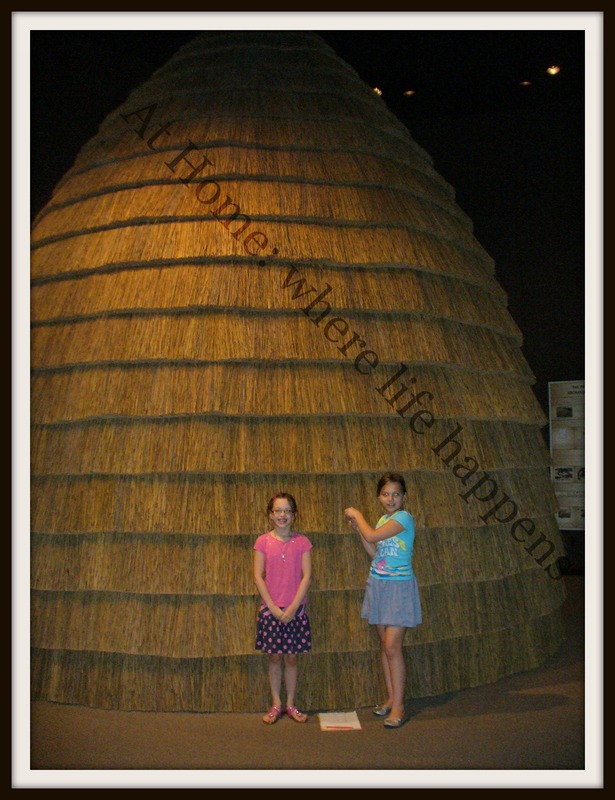 From spring to fall, they lived in large grass huts that were 30-40 feet high and 20-30 feet across. They farmed and raised crops on about 250 acres. These crops included melons, pumpkins, corn, squash, and beans. When the weather turned colder, they closed up their grass huts and became nomadic for the winter. 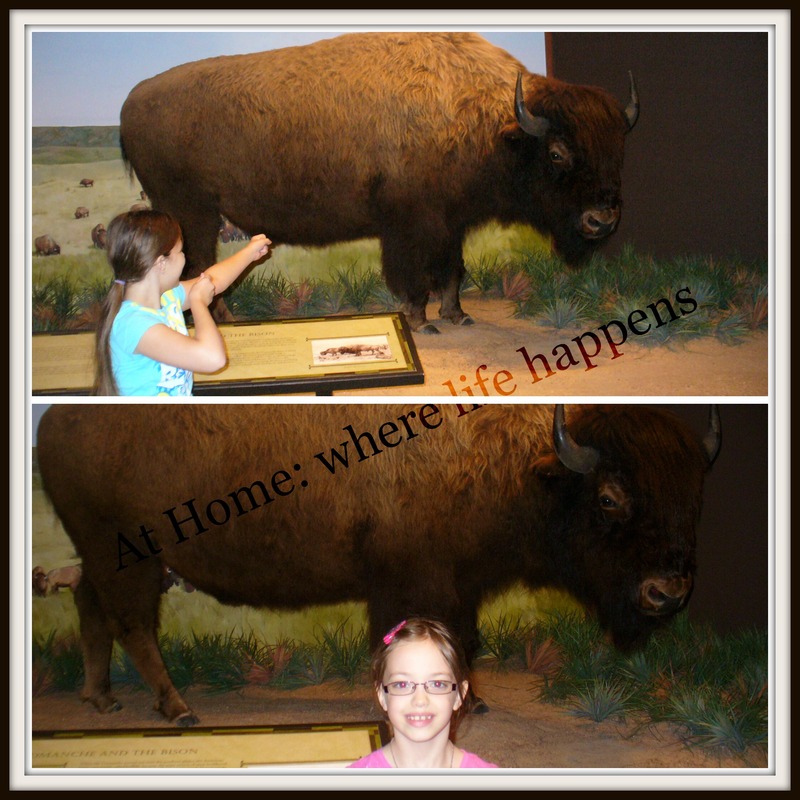 They followed the buffalo, hunting them and moving around as Plains Indians. 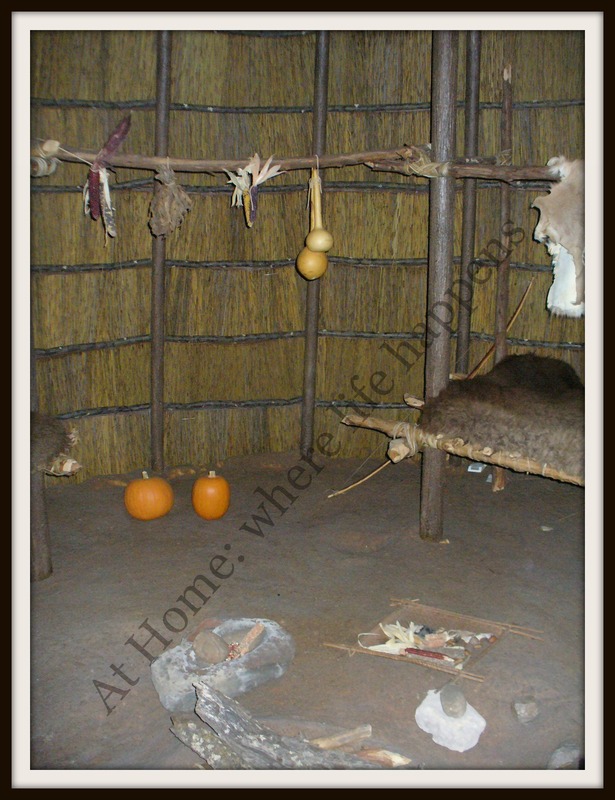 They lived in teepees and moved their belongings as needed to hunt the buffalo. As the spring returned, they also returned to their grass huts to begin farming once more. 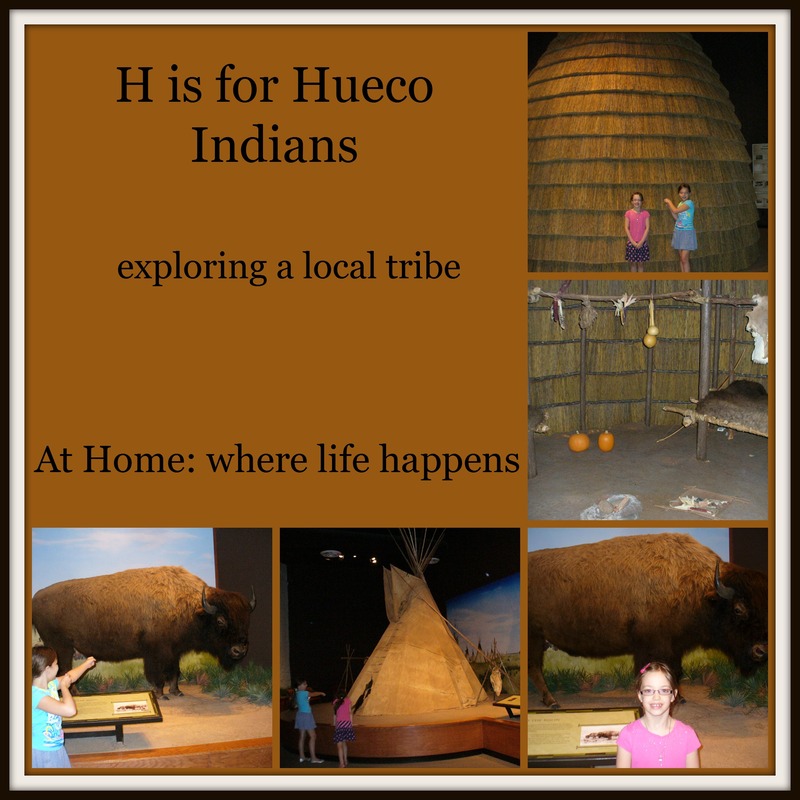 Information on the Hueco Indians is difficult to find, since they were such a regionalized group and very small. The best information we found indicates that there were only about 250 members of this group and they lived in one village of about 150-200 and another small village of about 50 that was close by. What we did find is located on the Texas Indians site. We researched George Catlin a bit since he spent so much of his life living with the Native Americans and painting scenes of their lives. He did spent some time with the Hueco Indians so it was interesting to see a painting that documents their life. We found copies of the paintings on the Wichita Indians page of the Texas Indians site. We also visited the George Catlin Complete Works site. It was interesting to see all of his work, though the paintings attributed to him on the other site is not found on the Complete Works site, which I found odd. Also, a word of caution – there are some graphic depictions of rituals in a few of the paintings so you may want to pick and choose what your students see. We had fun with this short mini unit on a local Native American tribe. What tribes are close to you? Have you spent any time studying them? We are going to be working on Native Americans most of the summer with mini units like this and are looking for others to study. Please share ideas with us! At Home. 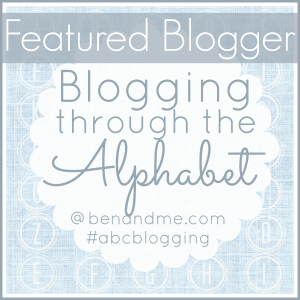 Linking up with ABC Blogging at Ben and Me. Also linking up with Field Trip Friday over at Chestnut Grove Academy.